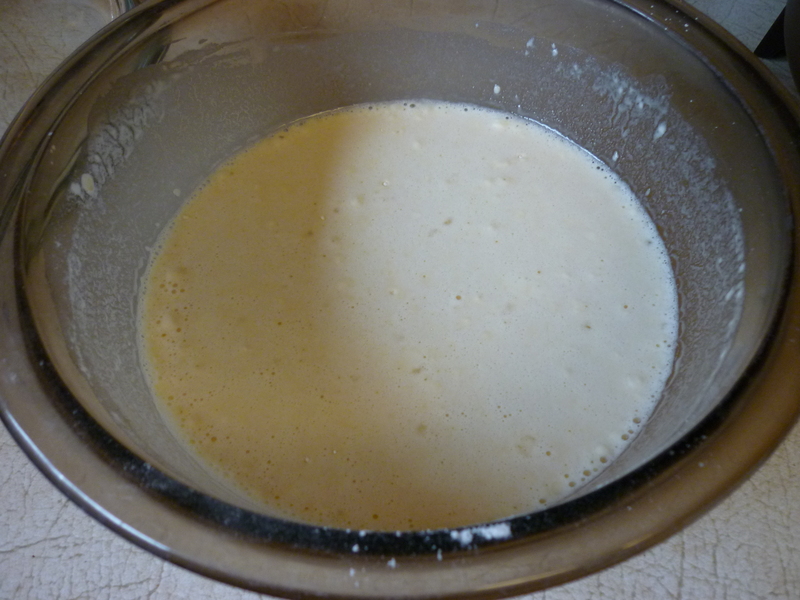 Stir dry ingredients until mixed, then whisk in egg and beer. Whisk until smooth. Let stand while you prepare the fish. I think the batter will cover about 2 lbs of halibut. Start with one batch and either make more or throw away the leftover. 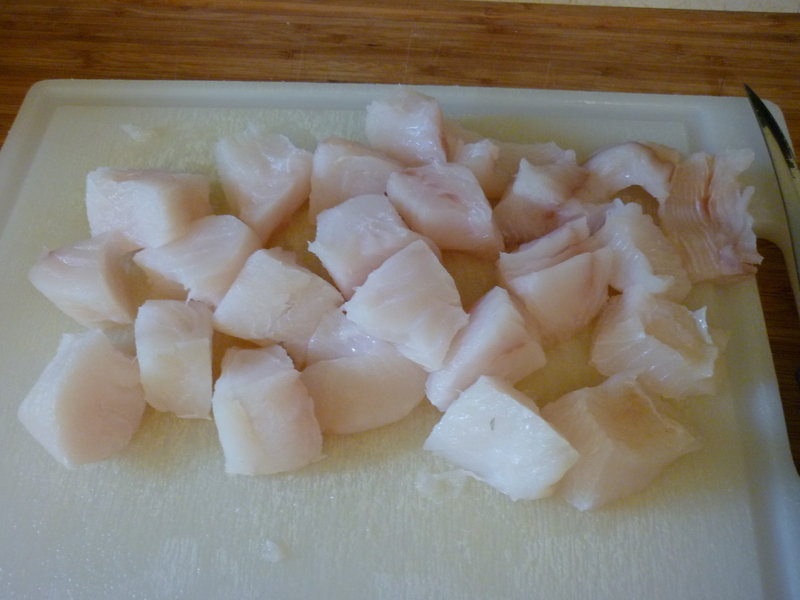 Cut halibut into 1″ chunks, approximately. Dredge halibut through flour, you’ll probably need about a cup of flour for this. 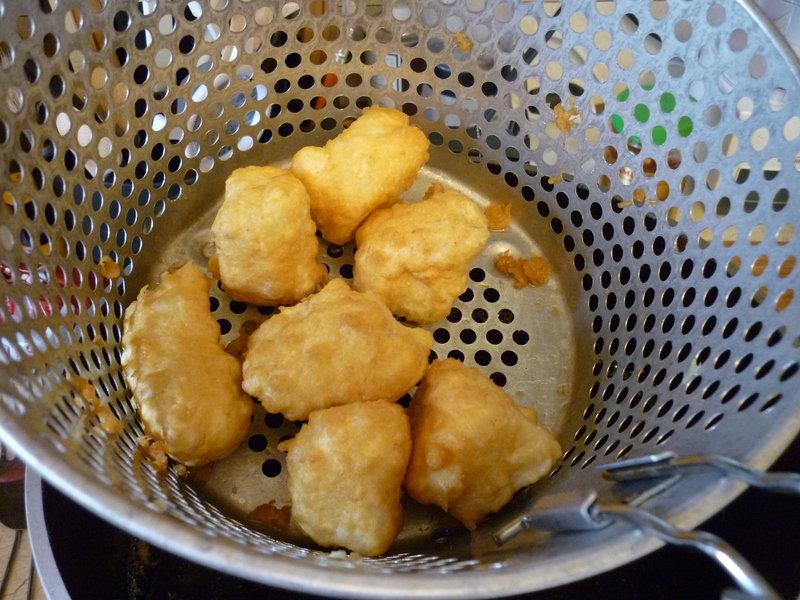 Deep fry in batches at 375 degrees until golden brown. 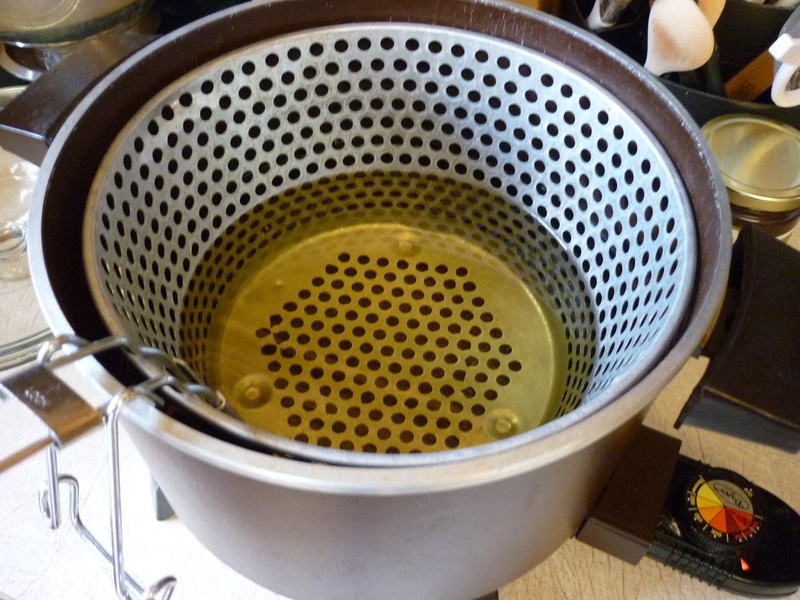 I deep fry in canola oil using an old Fry Daddy that I bought at a garage sale. Drain on paper and serve with cocktail sauce or tartar sauce or lemon juice or malt vinegar or nothing at all. Delicious! 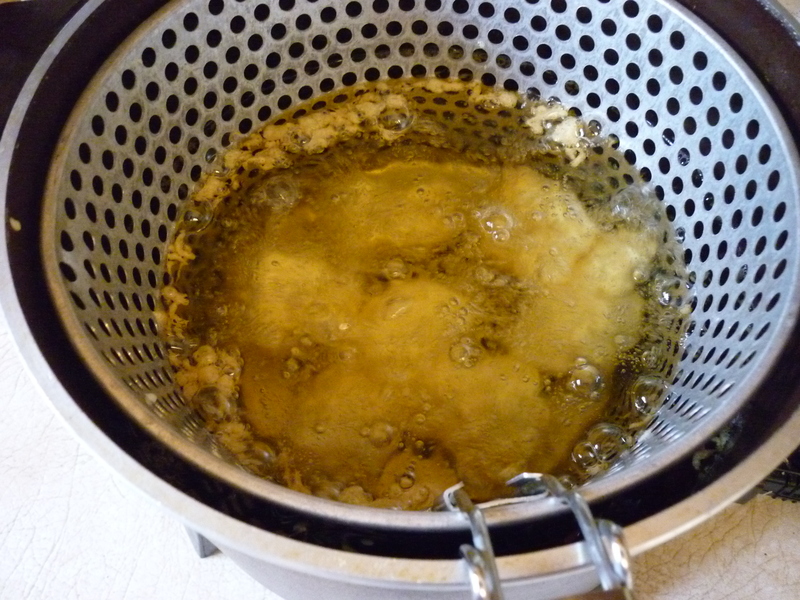 Heat oil in deep fryer to 375 degrees. 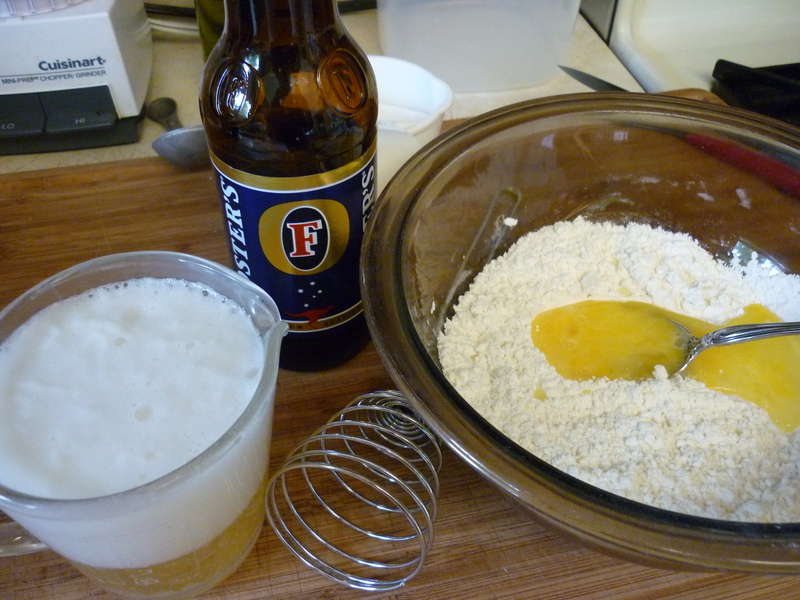 Mix dry ingredients with egg and beer. Take the skin off the halibut. Today I used two pieces this size. 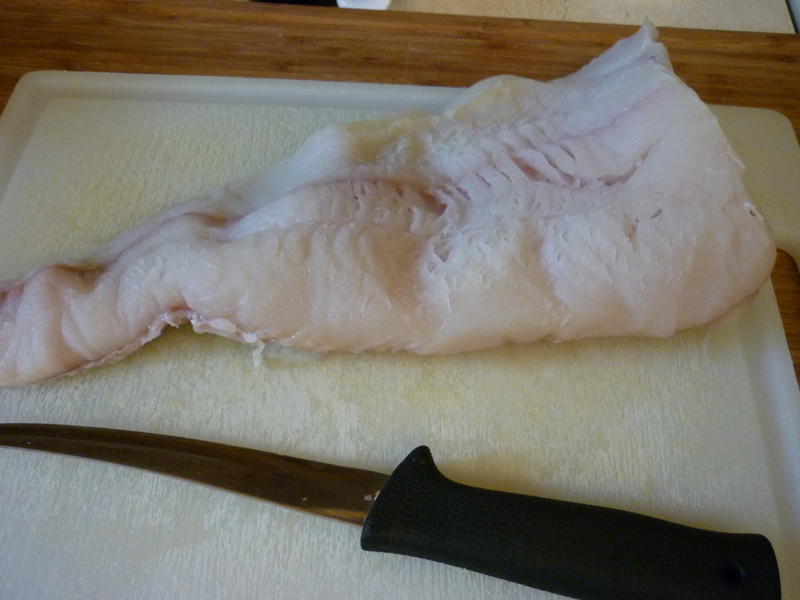 Cut the skinned halibut into 1″ approximate chunks. 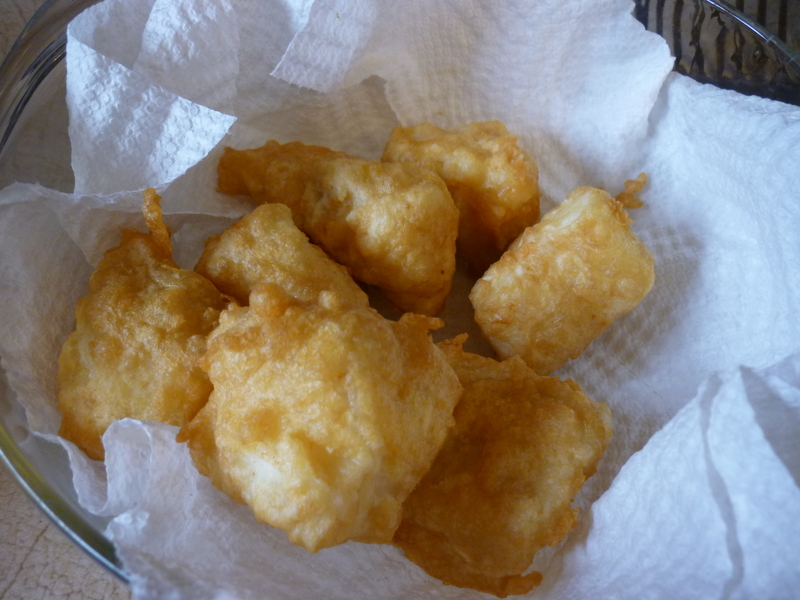 Dredge halibut in flour before dipping into batter. 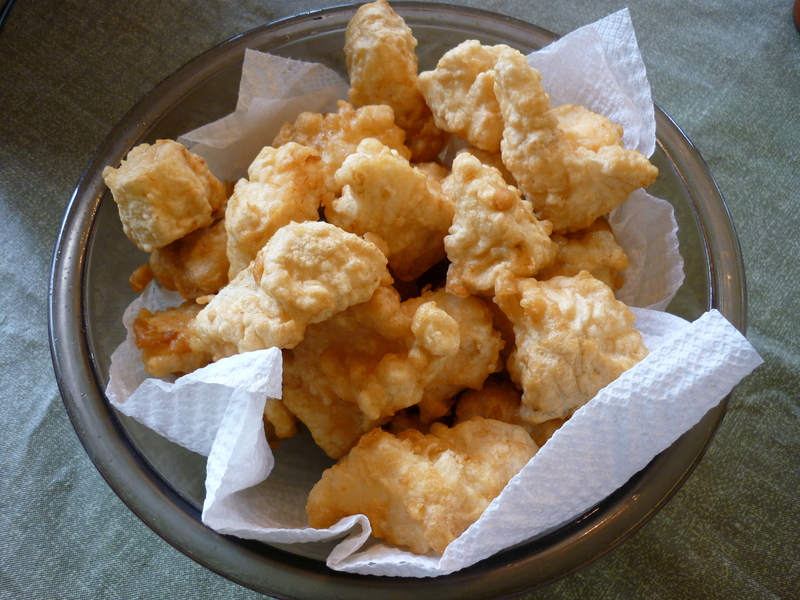 I put about a cup of flour into a 1 gallon bag and place 8-10 pieces of halibut into it and shake the bag. 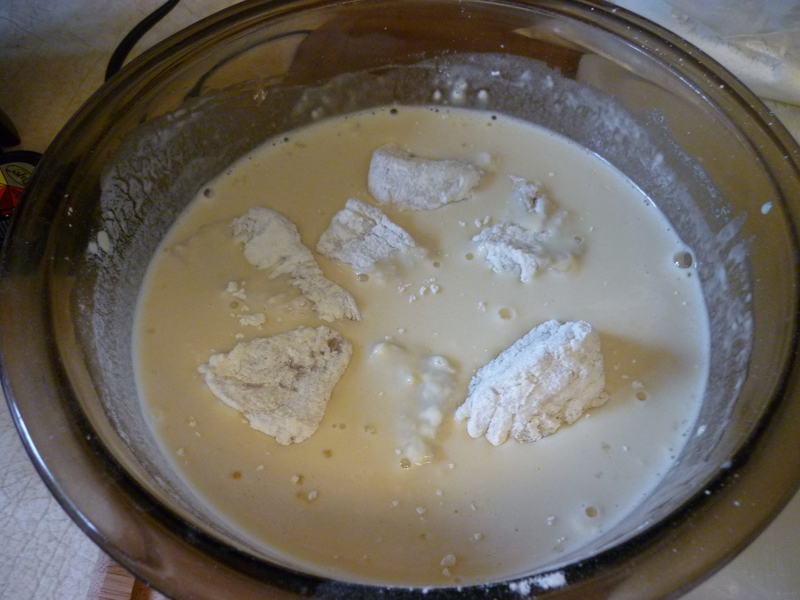 Then I remove the pieces and put them into the batter, making sure each piece is coated. 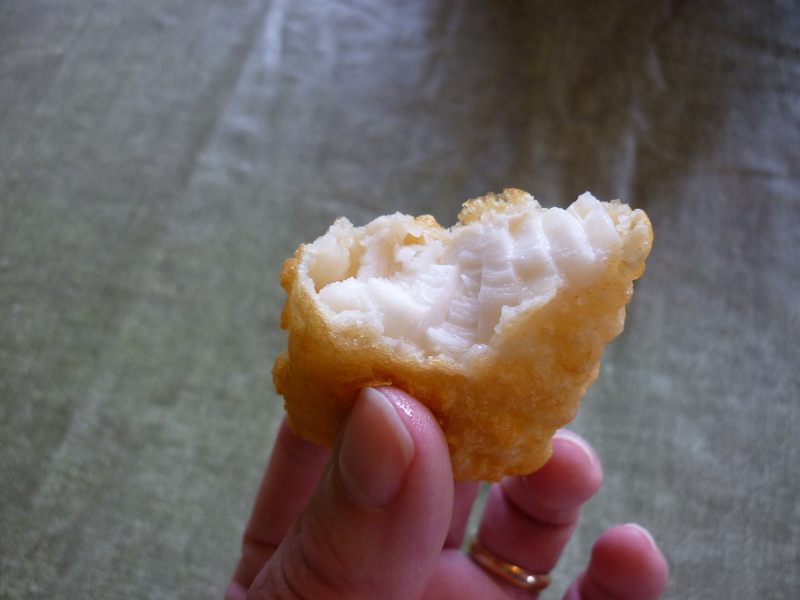 From the batter into the deep fryer. Don’t overcrowd it or the pieces will stick together and/or it won’t cook well. Lift the pieces out when they turn golden, just a few minutes. Put the pieces onto paper to get rid of excess oil. I use a paper-lined bowl. Now that looks good! I am not much of a fish person. My family killed me on it going up. But I think I could start liking these!